John McElhone was born on 16 June 1833 in Sydney, the son of Irish dairyman Terence McElhone and his wife Catherine, née Mallon. On 5 February 1862 at St Mary’s Roman Catholic Cathedral he married Mary Jane (d.1894), daughter of the wealthy squatter John Browne of Liverpool Plains. He died on 6 May 1898 at his residence in Macleay Street, Potts Point, survived by six sons and three daughters, and was buried in the Roman Catholic section of Waverley Cemetery. His third son Arthur Joseph McElhone (1868-1946) was Lord Mayor of Sydney in 1935 and his fourth son William Percy McElhone (1870-1932) was Solicitor-General and Lord Mayor in 1922. 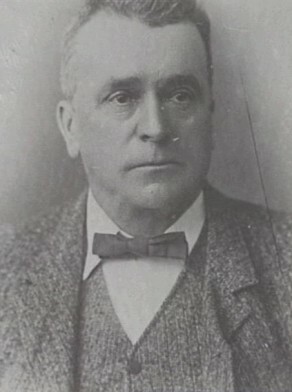 A litigious and fiery politician who favoured land reform but not Federation, John McElhone was elected member of the Legislative Assembly for the Upper Hunter, 1875-85 and 1887-89. He served as an independent Free Trader for Sydney-Fitzroy, between 1895 and 1898. John McElhone was elected Alderman for Fitzroy Ward, 2 December 1878 to 30 November 1882. In 1879 he sued Alderman James Poole for infringing the 1879 Sydney Corporation Act. His exposure of defective foundations of the Town Hall in 1880 caused unprecedented accusations of scandal. Martha Rutledge, ‘McElhone, John (1833–1898)’, Australian Dictionary of Biography, National Centre of Biography, Australian National University, http://adb.anu.edu.au/biography/mcelhone-john-4087/text6529, accessed 19 December 2012.